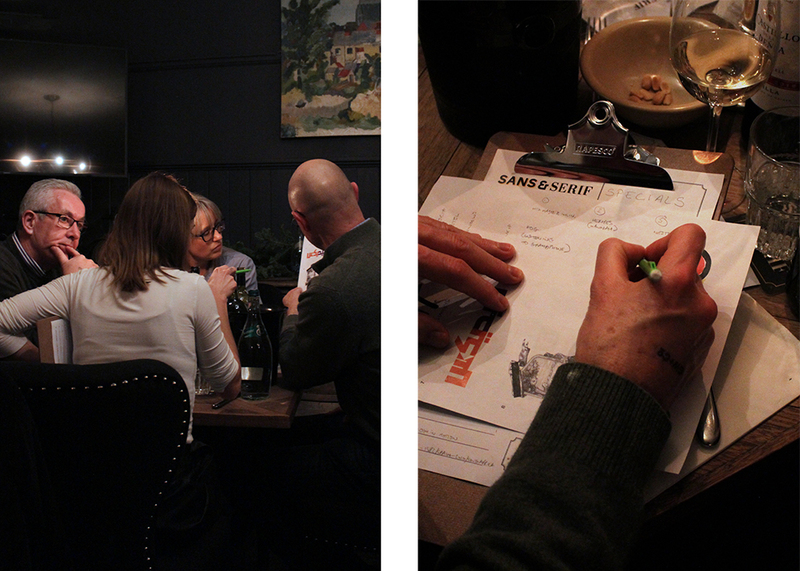 Our studio pub opened its doors for one night only, for a pop-up pub quiz. 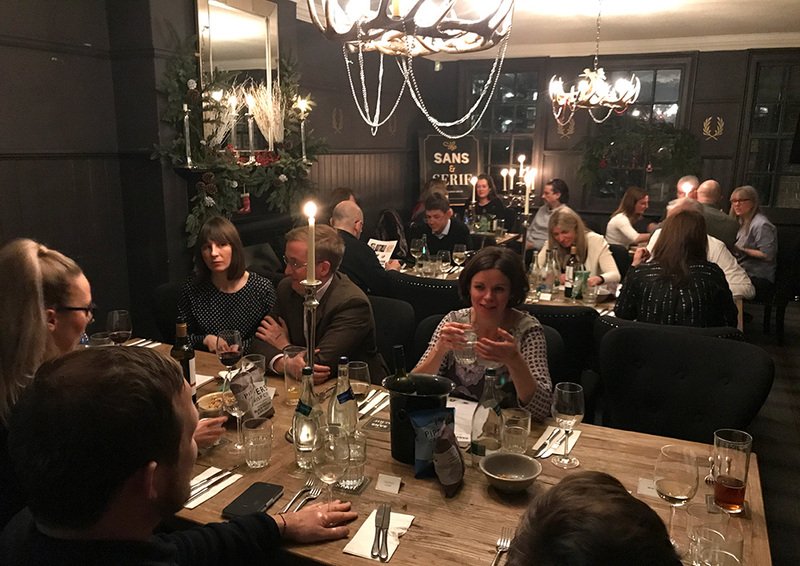 An annual party has become somewhat of a tradition for GW+Co, and on 29th of November we hosted our 4th event. 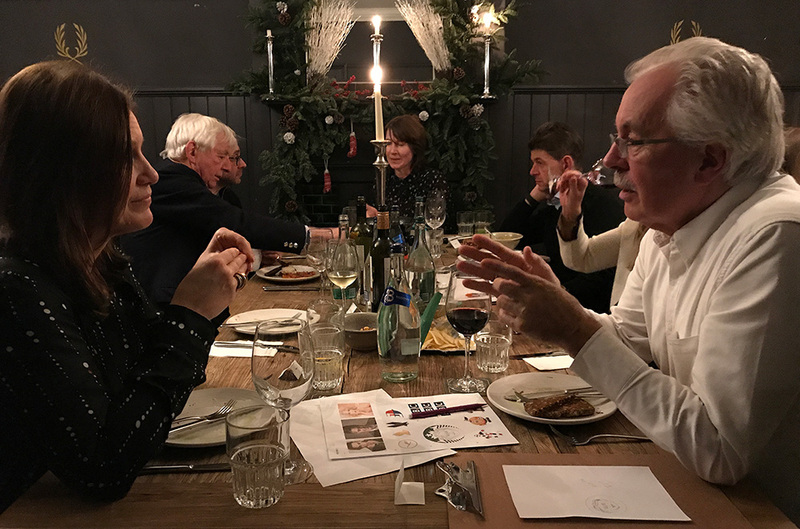 It’s a chance to get together with clients and friends to look back on a busy year and hopefully spark some stimulating debate. 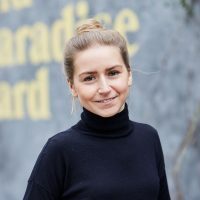 Recent years have seen us use our very own studio space in Old Paradise Yard, but this year called for a change of scene. Let us take you back a few years to our very first event, Fine Designing, where we designed everything (and we mean everything) for the gastronomic event. 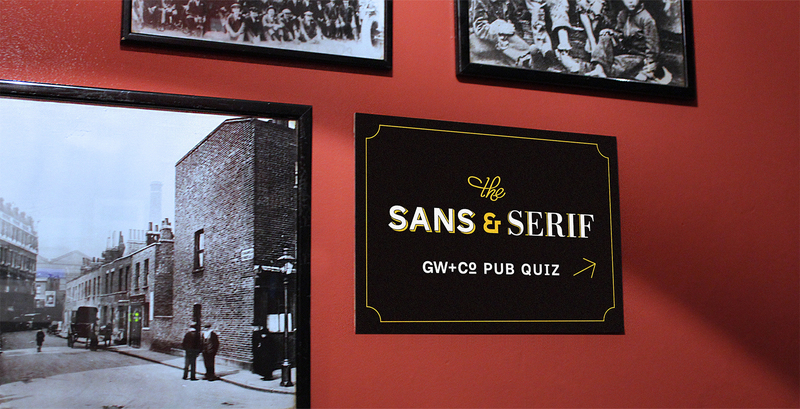 It was here that our very own pub, The Sans & Serif, was founded within the studio greenhouse. 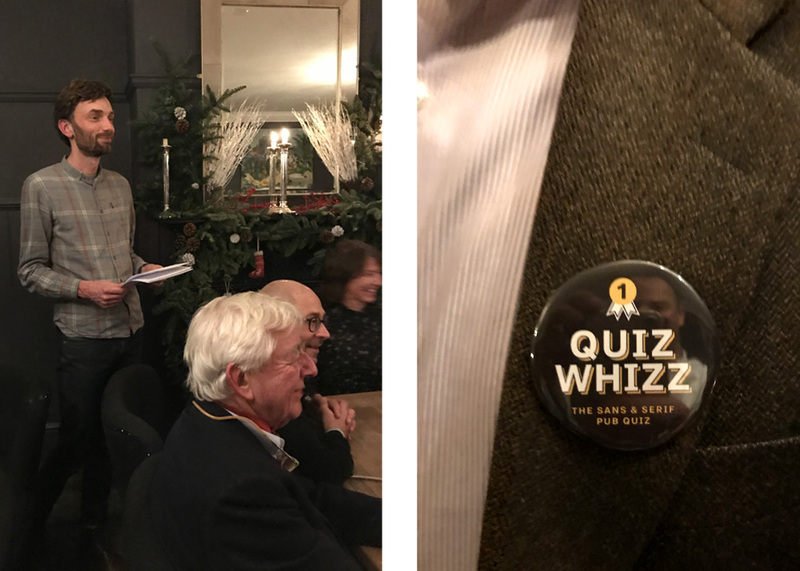 So for this year’s event, The Sans & Serif opened its doors once again for one night only, as a pop-up pub at our favourite local Waterloo boozer The Duke of Sussex doing what pubs do best; drink, cheer, peanuts and, of course, a good pub quiz… a branding pub quiz that is. 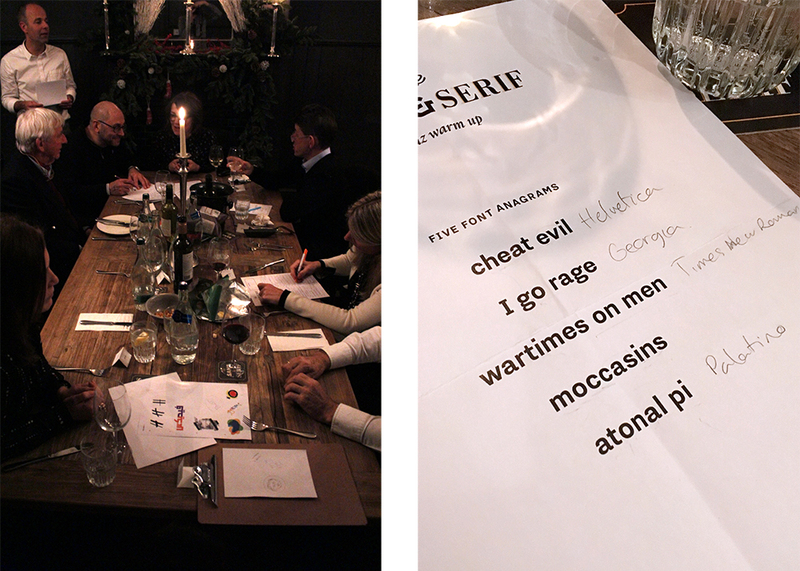 On arrival your hand was stamped with a GW+Co stamp giving you entry into The Sans & Serif. 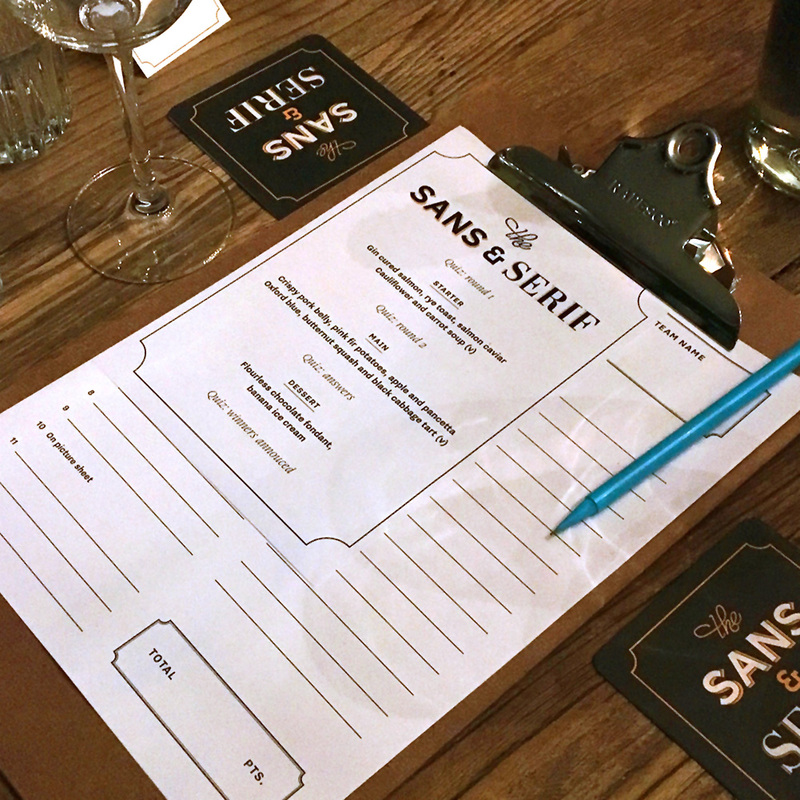 With a drink in hand and conversation flowing, it was time to take a seat, place those drinks on Sans & Serif beer mats and gather your team together for the quiz (and a pretty challenging one it was, even for us designers!). 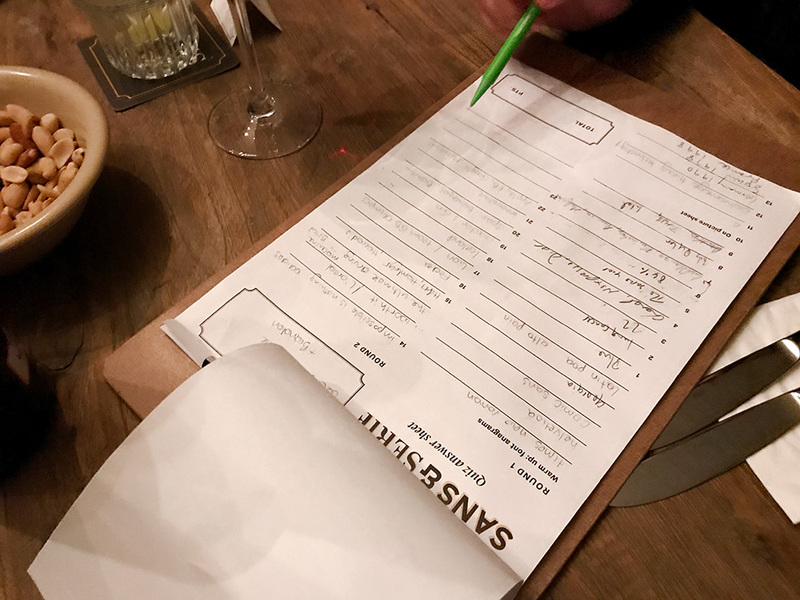 With two rounds in the quiz, we gave the teams some downtime in between for some lovely gastro-pub grub, and if you were on my team, time to continue the debate over World Cup mascots. 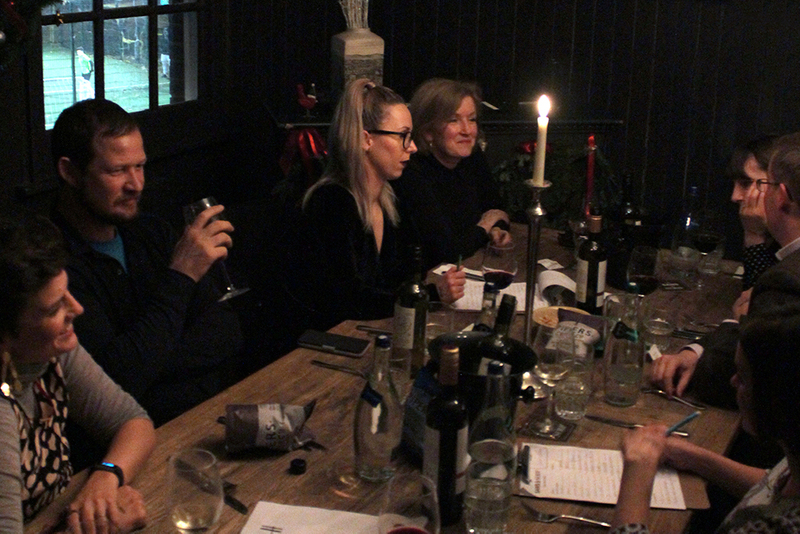 Disappointment was soothed with more wine, and some stimulating conversations lasted long into the night. 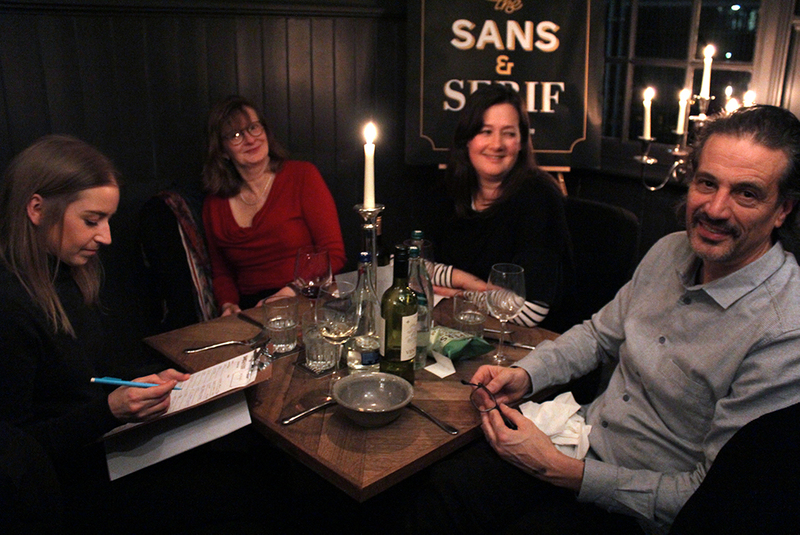 Thanks to all our lovely guests for making it such a wonderful evening… our best yet, some said! Want to see more? 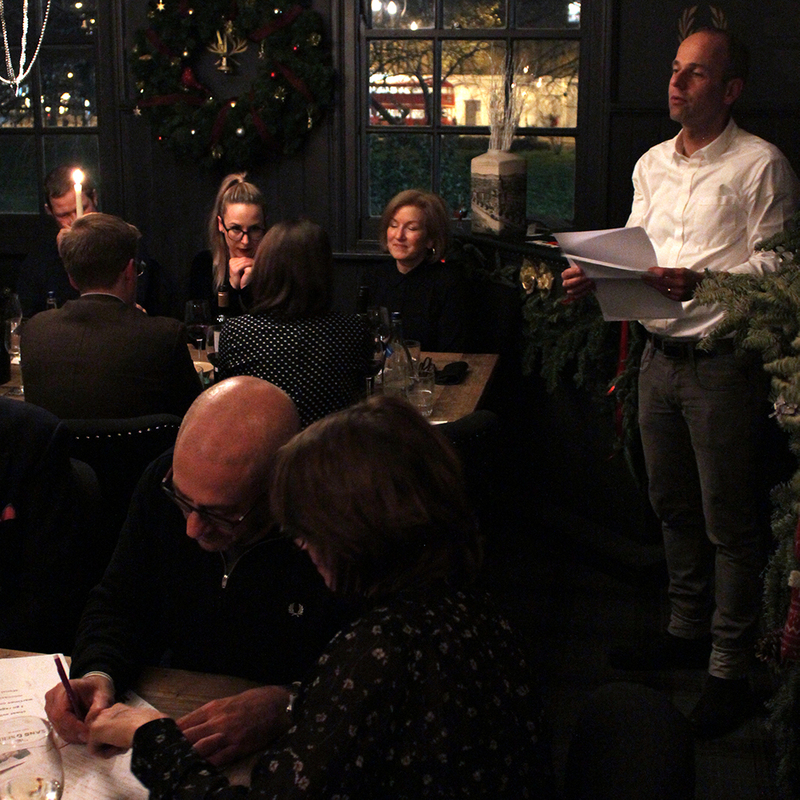 Download our branding pub quiz for an alternative to Trivial Pursuit over the festive season. 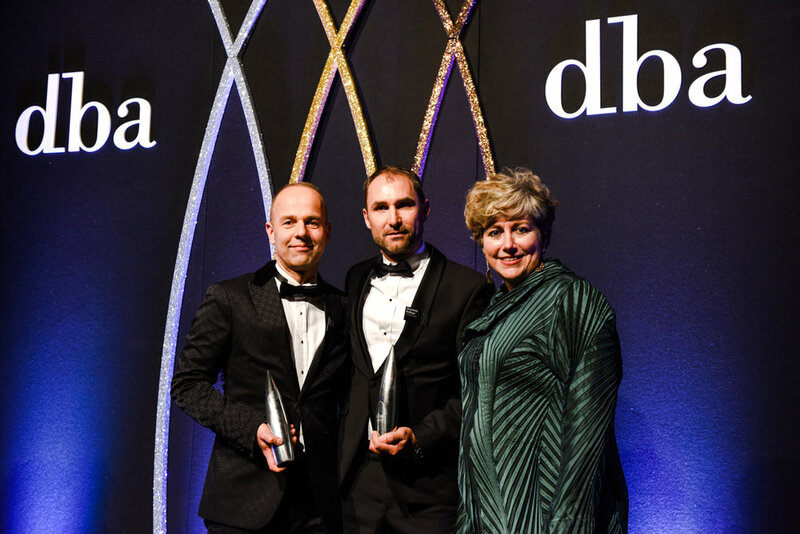 Winners at the 2018 DBA Design Effectiveness Awards! 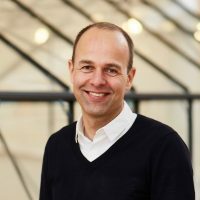 We’re delighted that GW+Co have won a Gold Design Effectiveness Award for our work on THORNeco, Zumtobel Group’s low-cost lighting range.